The Apple Watch is the ideal wearable companion for your iPhone. But, what if you lose your new watch? We take a look at how you might be able to recover your wearable companion. Plus, learn a few tricks to avoid leaving your watch behind. Thankfully, when Apple designed its high-tech smartwatch, it included the ability to locate it with a free app available on your iPhone, iPad, and PC. The Find My iPhone app allows Apple owners to find their misplaced gear. For your Apple Watch to be located via Find My iPhone, your watch must be associated with your Apple ID, and the feature must be active — by default, Find My iPhone is turned on. If you are looking for your Apple Watch, you can use the Find My iPhone app available for all iOS devices. If the app is not currently installed on your smartphone or tablet, you can download it for free from the App Store. Open the Find My iPhone app on your iOS device. If you are not already signed in the app, sign in with your Apple ID and password. Your phone will present you with a list of all devices currently attached to your Apple account — select your Apple Watch from the list. The map will now show the location of your Apple Watch. If you are far from the Watch, you will need to head to its location to proceed to the next step. At the bottom of the screen, click the Actions text. You will be presented with three buttons, press the Play Sound button to have your Apple Watch omit a sound; if it is nearby, it should now be easy to locate. If you don't have access to another Apple device, you can locate your lost Apple Watch from any PC with a connection to the internet. Open your favorite desktop web browser (Safari, Edge, FireFox, Chrome, etc.) and visit iCloud.com. If you are not already signed into the website, sign in with your Apple ID and password. From the icon grid, select the Find iPhone option. At the top of the screen click on All Devices — from the drop-down select your Apple Watch from the list. In the upper-right corner of the screen, click the Play Sound button. There are circumstances in which you might not be able to locate your Apple Watch via Find My iPhone or have it play a sound. One such example is that the smartwatch's battery has died; in this case, the application may show you the last known location of the watch. 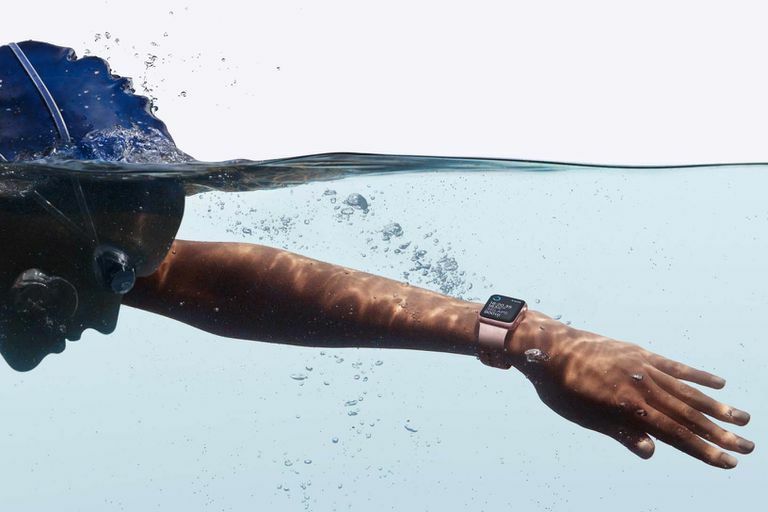 Apple Watches that run on Wi-Fi will only be able to report back its location when connected to a known Wi-Fi network. If you have a cellular Apple Watch, it should report back as long as it is registered with your mobile carrier and has a sufficient signal. In both cases, your only option is to locate the Apple Watch using the last known position as reported by Find My iPhone. If you are still unable to locate your watch, we recommend placing it in Lost Mode as detailed below. You will be presented with three buttons, press the Lost Mode button. Tap to confirm that you wish to enable Lost Mode. Enter a phone number that can be displayed upon your Apple Watch if it is found by an individual. This step is optional and can be skipped if desired. Either enter a custom message to be displayed on your Apple Watch or immediately click Done to use Apple's default message and enable Lost Mode. You can also enable Lost Mode from any PC with an internet connection. In the upper-right corner of the screen, click the Lost Mode button. Enter a custom message to be displayed on your Apple Watch, then click Done to enable Lost Mode. To disable lost mode, open the Find My iPhone app, and navigate back to your Apple Watch. When you click the Lost Mode button under Actions, you will have the ability to Turn Off the feature. While not much more than attentiveness can keep you from losing your Apple Watch, one security company is offering a solution to the problem. The folks at Lookout have introduced an Apple Watch app as a part of their standard Lookout security application for iOS. Downloading and setting up the software will cause your iPhone to alert you as soon as your device loses communication with your watch — one way to ensure that it doesn't get left behind. Ensure that your Apple Watch has the Find My iPhone feature enabled and that it hasn't been accidentally disabled. Learn more about the feature at Apple.com.